U.S. home constructions grew last month to the fastest pace since the recession, based on a new report. 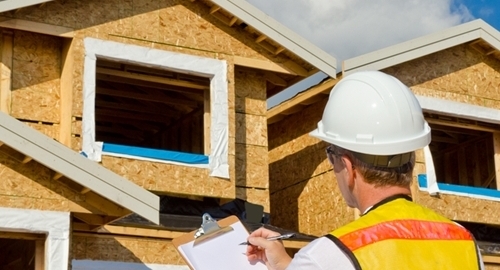 According to the U.S. Department of Commerce (DOC), housing starts increased in April by 20.2 percent to a seasonally adjusted annual rate of 1.14 million homes, the fastest growth since November of 2007. Construction of single-family homes rose 16.7 percent last month with apartment building construction almost doubling that number, up 31.9 percent. Also in April, approved building permits increased by 10.1 percent to an annual rate of 1.14 million, indicating more construction ahead. With a particularly harsh winter impacting much of the last two quarters, the sharp increase indicates that construction seems to be turning around and that growth might continue to accelerate in the coming months, bringing more inventory to fulfill increasing demand. This trend was reflected in another report released last month by the National Association of Realtors. While sales of existing homes rose 6.1 percent in March to a seasonally adjusted annual rate of 5.19 million, the market had just 4.6 months of supply, as opposed to the six month supply preferred by economists. The DOC report indicates that builders are preparing to meet current demand. Regionally, construction starts were strongest in the Northeast last month, up 85.9 percent, thanks to a harsh winter that halted work and increases in multi-unit projects. The West was next with a 39 percent increase followed closely behind by the Midwest at 27.8 percent. Construction in the South dipped slightly, down 1.8 percent in April. With more new homes on the way, more lending opportunities await. If you are in need of new loan management software for your business, be sure to shop with Graveco today. Check out the rest of our website to learn more about the products and services that we offer.